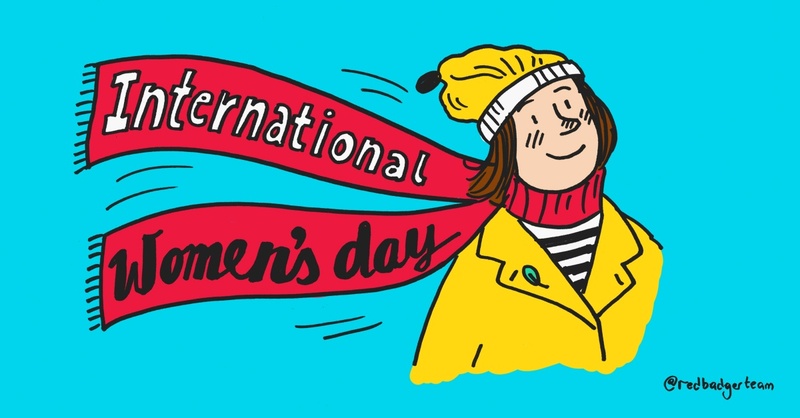 This International Women’s Day we’re celebrating our Badger ladies' achievements, talents, skills and most importantly their drive for positive social change every day. At Red Badger, we strongly believe in the power of women in the workplace not only because it promotes a diverse work culture but moreover because a strong gender split helps to promote fresh, inspiring thinking. In everything we do we value everyone’s ideas and input. This is why we ran a survey amongst the whole team asking for their thoughts, motivations and how they get inspired everyday. The results are summed up in the lovely infographic shown below. As a company with a strong cultural ambitions we know how important it is to have women sat at the top table. This is why we’re very proud of our 50-50 gender split in our leadership team. Their contribution is not only inspiring us all in everything they do but also most importantly our work-life. But who’s the most inspiring woman at Red Badger? To be fair there’s a lot of competition. Every women that works here has her own story to tell, brings special talents and skills with her and inspires us in a different way. But just to pick a few here are our most kickass real-life role models. Let’s start off with Sari and Shelley. As two full time working mums and strong parts of our leadership team they’re both rocking work - family life and inspire us that we can have it all. And then there is ‘Super Lani’ who’s simply championing the social value here at Red Badger. Her passion and commitment for our social task force inspires more and more Badgers to join the good force everyday. And a lot of our ladies have used this inspiration to give back to the community. From mentoring at Code Your Future, donating for food banks to volunteering on the new London Pride App. More exactly, they’ve helped develop 49 social projects to be correct. Well done. Keep up the good work, ladies! Oh... and on a side note we have a 'Coach yourself to Success' workshop in the office after work today to mark IWD. If you’d like to join please sign up here. Join us in celebrating women’s achievements, skills and talents all over the world. Get involved by following us Twitter, Linkedin and Facebook and participating in the conversation. We’d love to know what you think, what bold actions you’re taking to help drive gender parity and how your female workmates inspire you every day.